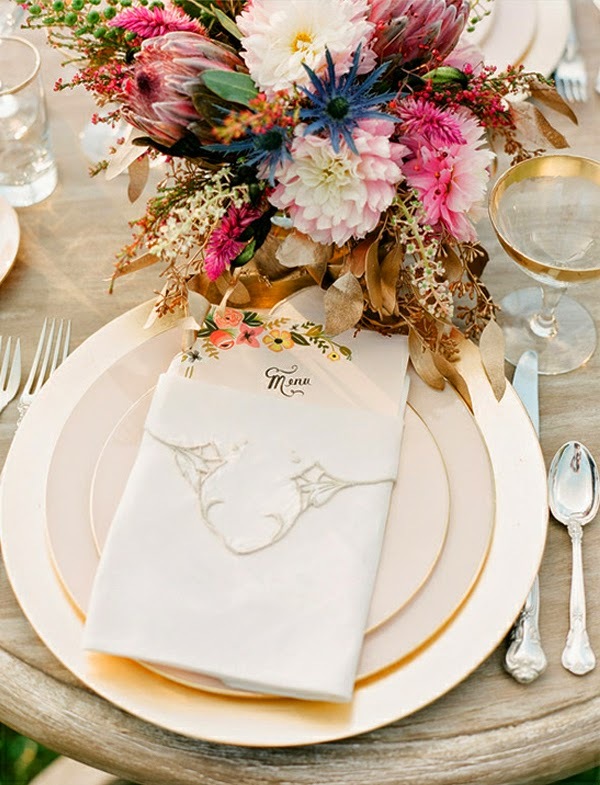 You don't have to spend $10,000 or $15,000 on wedding decor for the experience to be memorable and enjoyable. Truth be told, you can spend less than half that and still have a great wedding ceremony and reception. How is that possible, you ask? Simple, through unique wedding decorations & ideas. 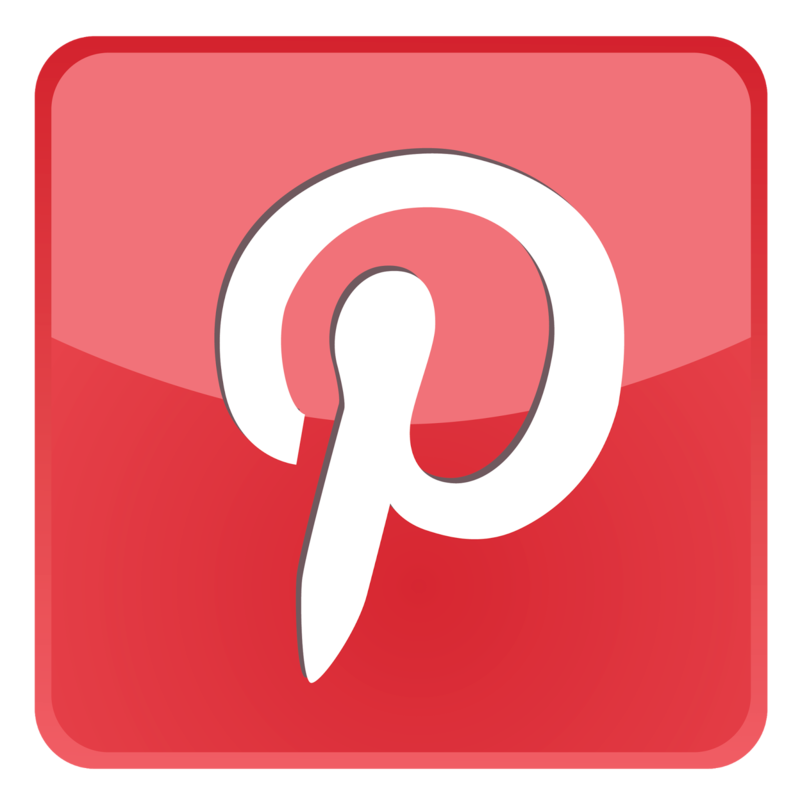 Table Cloths: Yes, table cloths can be a decoration, but only as long as you use the right type. 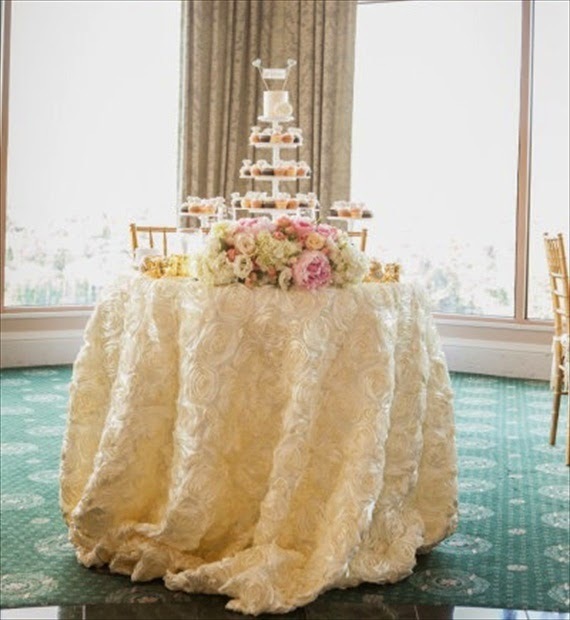 A simple white table cloth can't really be called a decoration. 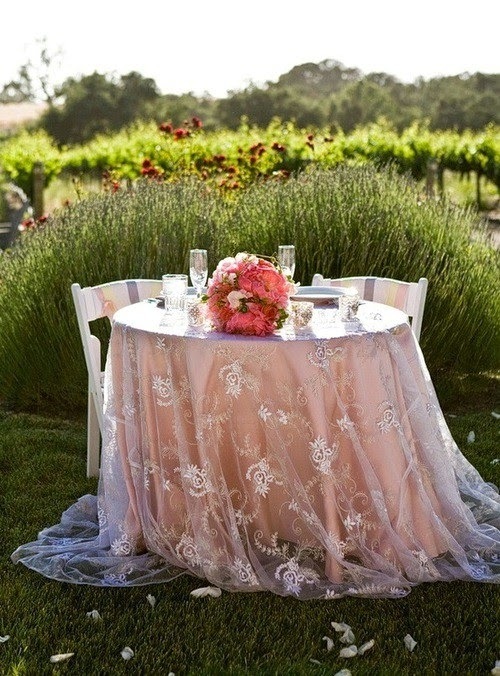 On the other hand, a table cloth that matches the color of your wedding -- pink and black, pink and blue, white and pink, etc. -- can be easily considered as a decoration! Napkins: Another one of those unique wedding decorations ideas you probably didn't think of. Just like the table cloth, a plain white napkin can hardly be considered decor. 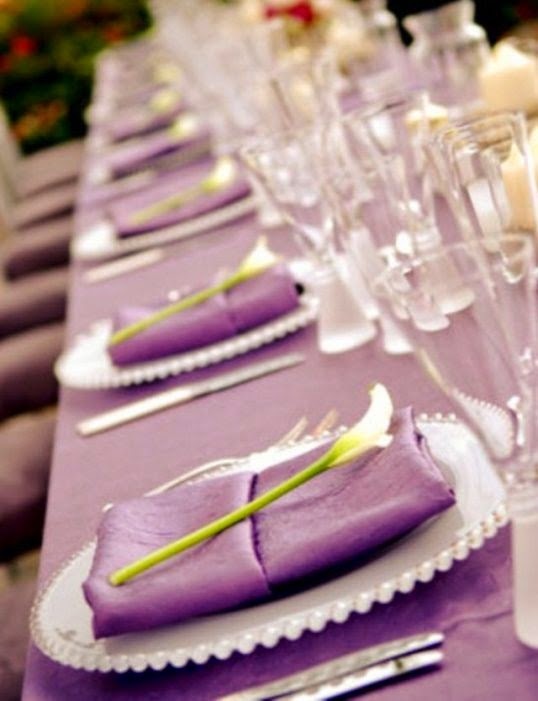 However, throw in some colored napkins that match the theme of your wedding and you've got yourself another cheap yet beautiful decoration for the wedding. 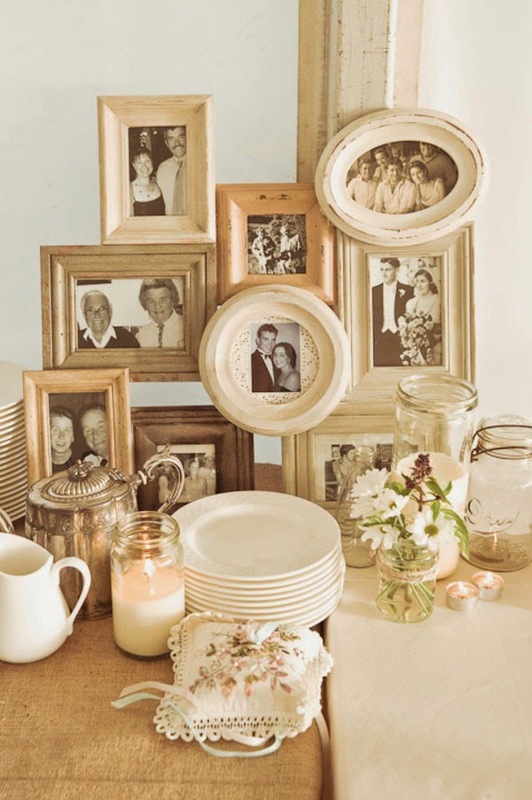 Photos: Gather some of your "before wedding" photos and buy simple picture frames for them. 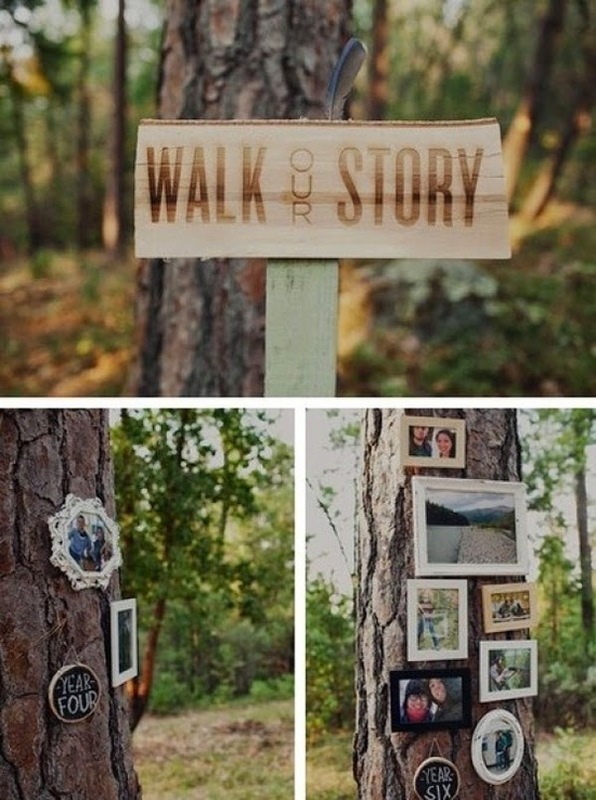 Place the framed photos in small groups of 2 to 3 strategically around the reception area. These pictures will convey the joy & happiness the two of you have shared and why you're such a perfect match. If the color of the frames can match your wedding theme, that would be even better! 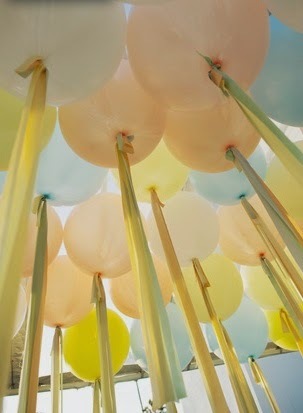 Ribbons & Balloons: As far as cheap wedding decorations & ideas go, this has got to be the best there is. 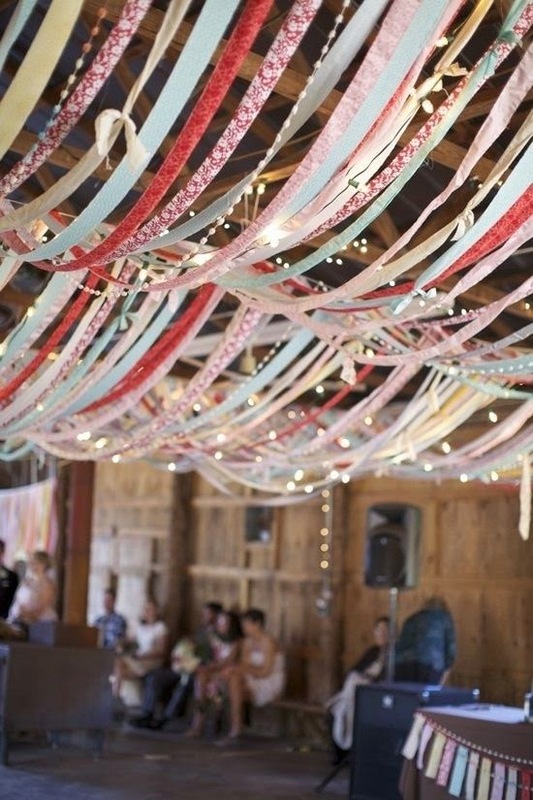 Simply buy theme-colored ribbons & balloons in bulk and start decorating the reception hall with them. Use the balloons sparingly in groups of about 2-3, and then tie the colored ribbons to pretty much anything and everything you want. If you can't save some money for the budget with these unique, yet cheap wedding decorations ideas, well, then you're in need of a lot more help then you let on.